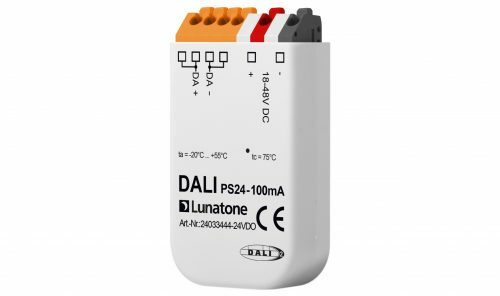 DALI PS serves as power supply for the DALI bus system. 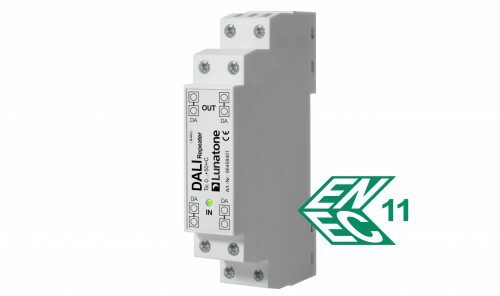 Voltage and current limitation according to standard as well as timing ensure a reliable bus communication. 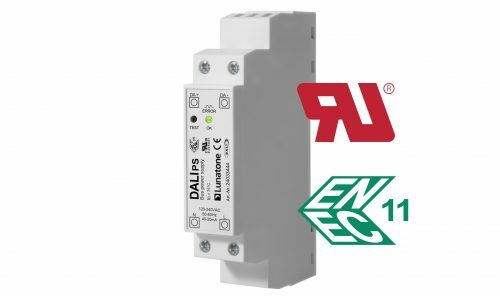 With the output current of up to 250mA an entire DALI line can be supplied. 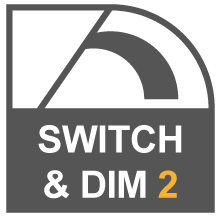 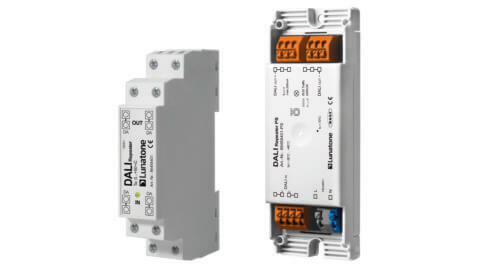 Up to 64 addressable DALI devices and additional 20 to 30 control modules (DALI Sensors, MC, Touch panel...), up to an overall load of 200mA can be connected. 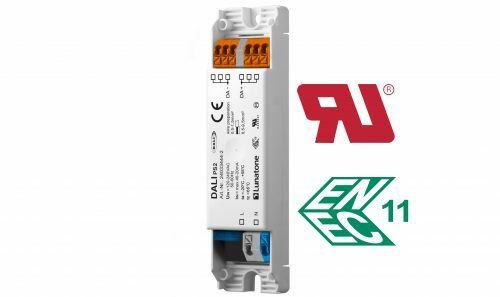 Units with different output current and housing are available, suitable for DIN rail mounting, remote ceiling installation (housing with strain relief) or ush-mounted installation boxes. 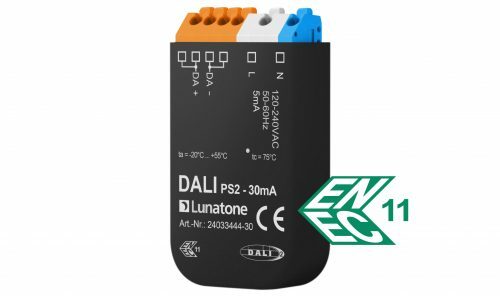 This compact 1HP DIN rail module enables the independent control of up to 4 DALI lines, which equals 256 DALI operating devices. 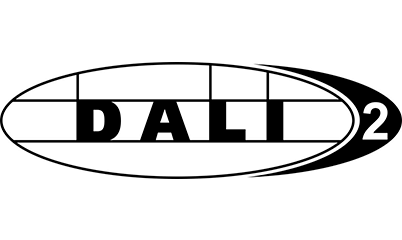 Efficient scaling is possible with external DALI bus supplies. 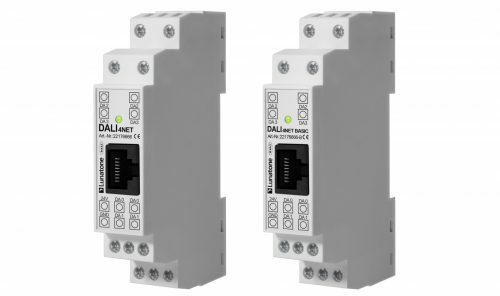 Via the DALI4Net connected control devices and control gear can be configured via Ethernet with the DALI Cockpit Software. 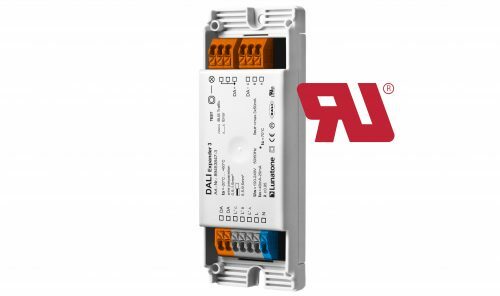 Using the Modbus TCP interface the DALI 4Net can be accessed for control and visualisation or connected to a building control system. 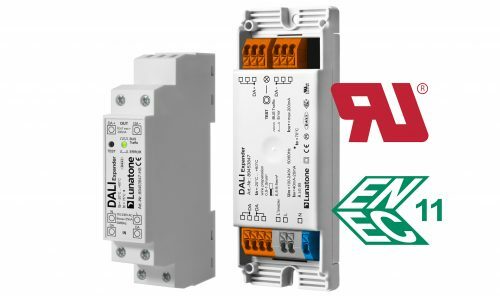 Further functions are: cross line control functions for sensors, real time clock, scheduler.